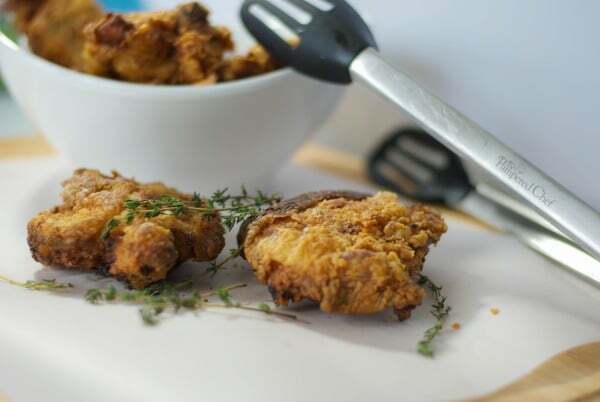 Buttermilk Fried Chicken made with bone-in chicken thighs that have been soaked in buttermilk; then dipped in flour and herbs and fried until crispy and golden brown. I want to see a raise of hands. 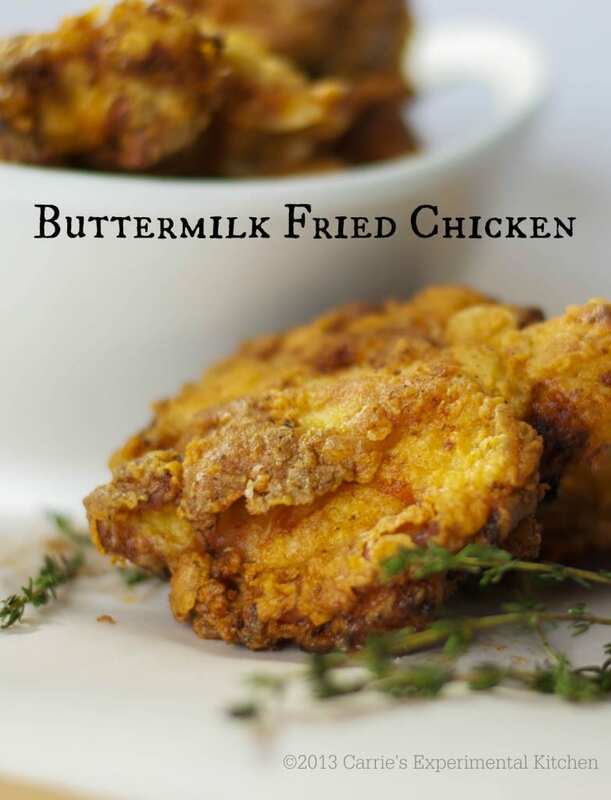 Who has buttermilk all year round in their refrigerator? I certainly don’t, but thanks to this tip I learned a few years ago, it’s not a problem! Simply mix together 1 cup of milk + the juice of one lemon + 5 minutes to rest = Buttermilk. That’s it…Easy Peasy! This is the beginning to making this Buttermilk Fried Chicken. One morning while asking the kids what they wanted for dinner, G stated that she wanted fried chicken on the bone; like the kind you can get at KFC. Now, I can probably count on one hand the number of times I’ve eaten at a KFC in the last 20 years, let alone make chicken at home that way. There aren’t many foods I fry with the exception of chicken, pork, or eggplant cutlets and homemade french fries. But it was a dreary kind of day and I did have some chicken thighs in the freezer so I figured why not. I soaked the chicken in the buttermilk in the refrigerator for about 2 hours before coating and frying them; then I dredged them in all purpose flour that had been mixed with spices: salt, pepper, dry mustard, onion powder, garlic powder, paprika and fresh thyme. To fry, I added oil to my Dutch oven since I don’t own a fryer and worked in two batches. After I was done frying, I put the chicken in the oven just to make sure they were fully cooked. 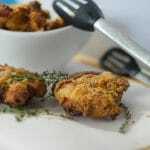 I can’t compare these entirely to KFC; however, they were deliciously crunchy just how I remembered them and the kids loved them! 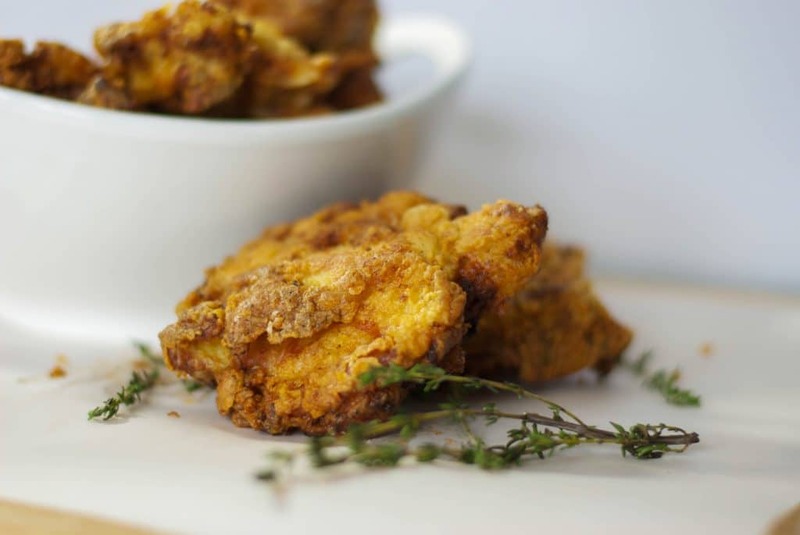 Buttermilk Fried Chicken made with bone-in chicken thighs that are soaked in buttermilk; then dipped in flour and herbs and fried until crispy and golden brown. Add the chicken to a resealable plastic bag along with the buttermilk and refrigerate for at least 2 hours (you can leave them there all day if you'd like). 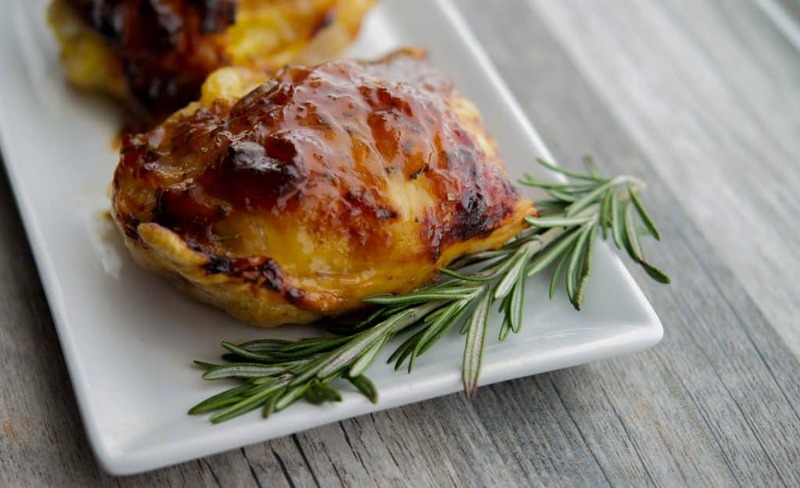 Remove the chicken from the refrigerator 10 minutes before you're ready to fry. Prepare the coating mixture by mixing together the flour, salt, pepper, onion powder, garlic powder, dry mustard and thyme. Pour the oil into a large pot, Dutch oven or deep fryer and allow to heat over medium-high heat. Coat the chicken one piece at a time by dredging it into the flour mixture; then add the chicken to the oil. (You may have to work in two batches to avoid overcrowding). Fry the chicken 7-8 minutes per side; allowing them to turn golden brown. 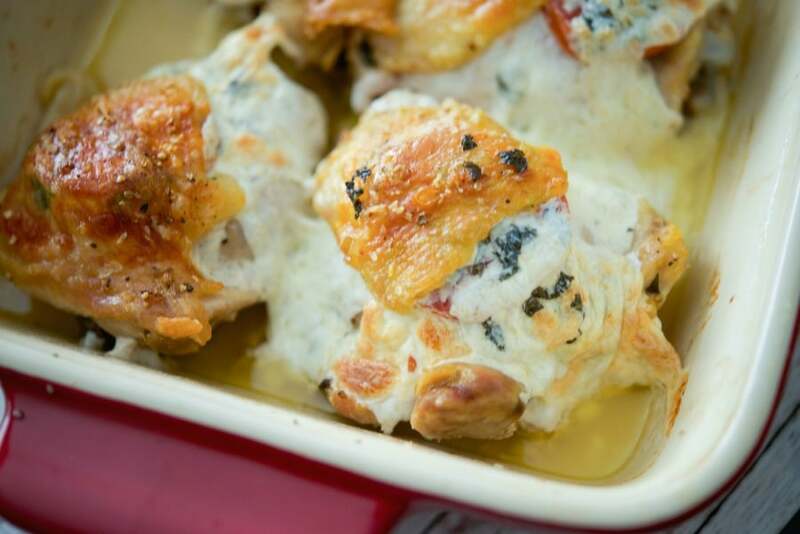 Drain the chicken on paper towels; then place on a baking sheet lined with a rack or foil. 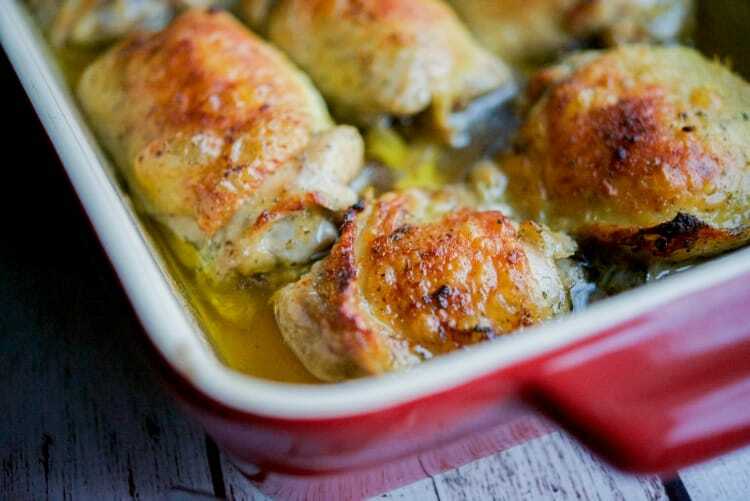 Bake the chicken at 350 degrees for 10-15 minutes or until the chicken has reached proper internal temperature. 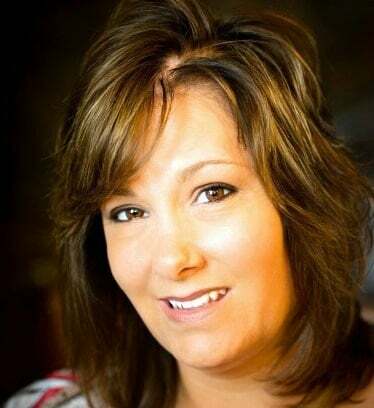 *To make homemade buttermilk, combine 1 cup of milk, plus the juice of one lemon or 1 tbsp. of white vinegar; then allow to rest for 5-7 minutes until thick. I usually buy it too, but it’s great in a pinch. Mine came out pretty thick and I used 2% milk. Waving my raised arm here . . . ever since I learned from Alanna at Kitchen Parade how to make my own buttermilk (starting with a seed culture of buttermilk, and keeping it going in the fridge, NOT with lemons!) I almost always have a quart jar of buttermilk in my fridge. I use it to make muffins, waffles, pancakes . . . and yes, just last week, I had some chicken breasts and a package of that Fresh Takes crumbs and cheese stuff, so I sliced the chicken into tenders, soaked it in some buttermilk, dunked it in that stuff, and made baked cheesy tenders. Then I used more buttermilk to make waffles and had, for the first time in my life, chicken and waffles! Carrie, I’m so glad you were able to hit it out of the park making something your kid wants! 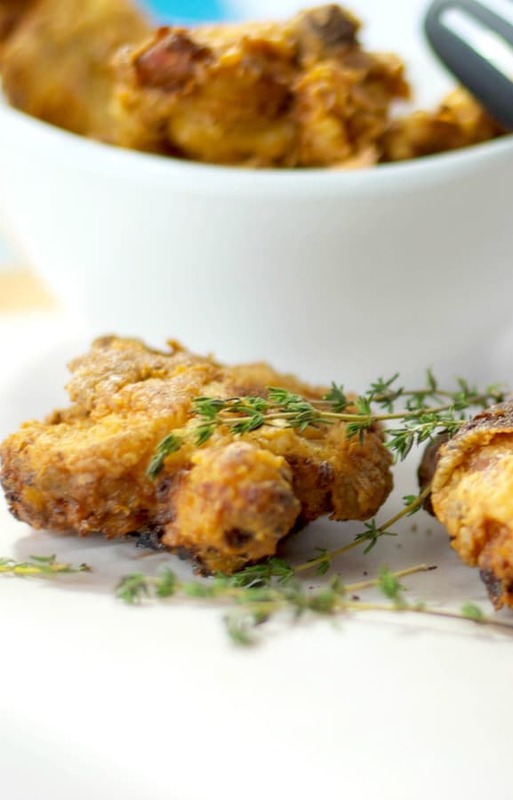 I love fried chicken, and this recipe looks fantastic! I actually do always have buttermilk in my fridge because I use it in so many things and we enjoy drinking it. This chicken looks fantastic!